L. candidum is related to the more common L. frutescens, but it is smaller, more compact, and has even more silvery, almost white, leaves. 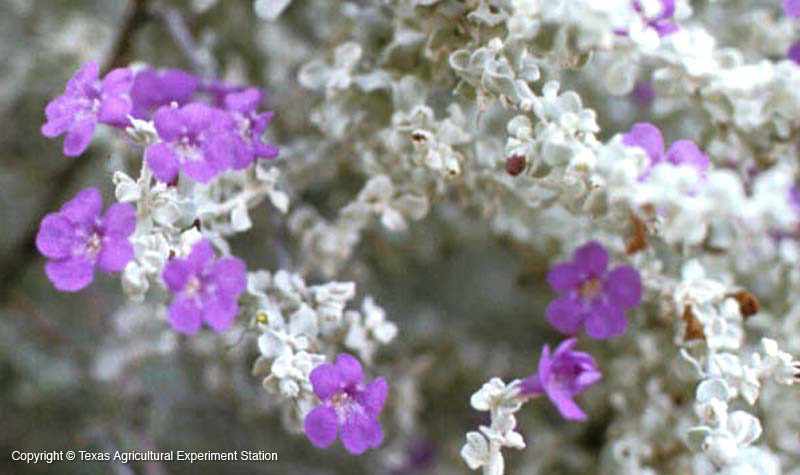 With its intense violet flowers that appear in the summer through fall in response to humidity or rainfall, it is a dramatic, eye-catching plant. 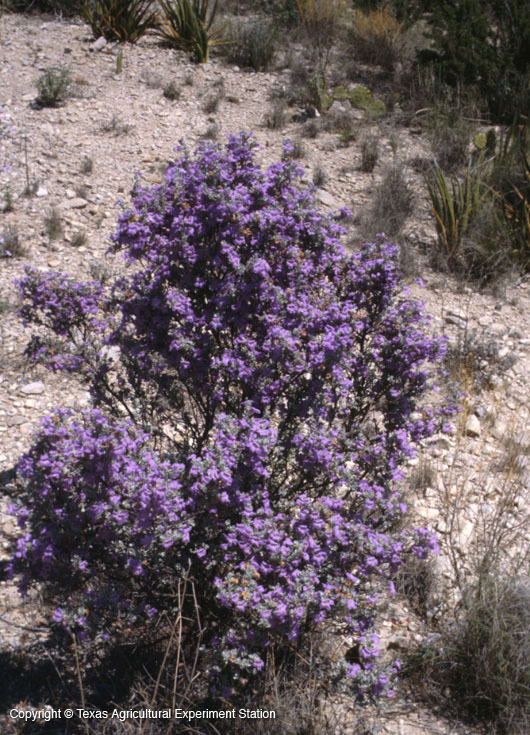 Its native range is restricted to gravelly hills in Big Bend National Park and Black Gap Wildlife Refuge in Southern Brewster County in the Trans-Pecos, found primarily on soils of limestone origin, and especially prevalent on caliche hillsides. Since, like L. frutescens, it is adapted to the alkaline, well-drained soils of the arid west, it is a superb plant for dry gardens or areas that require minimal maintenance. However, also like L. frutescens, violet silverleaf must be planted in extremely well-drained alkaline soil in full sun. Overwatering or poor drainage will quickly kill it, and shade will promote sparse, leggy growth and less flowering. In areas of high rainfall or poorly drained soil, it should be planted in raised beds. If planted in acid soils, dolomitic limestone should be added. Fertilizing is unnecessary. Cenizos are not susceptible to pests or diseases other than cotton root rot, which well-drained soil will discourage. 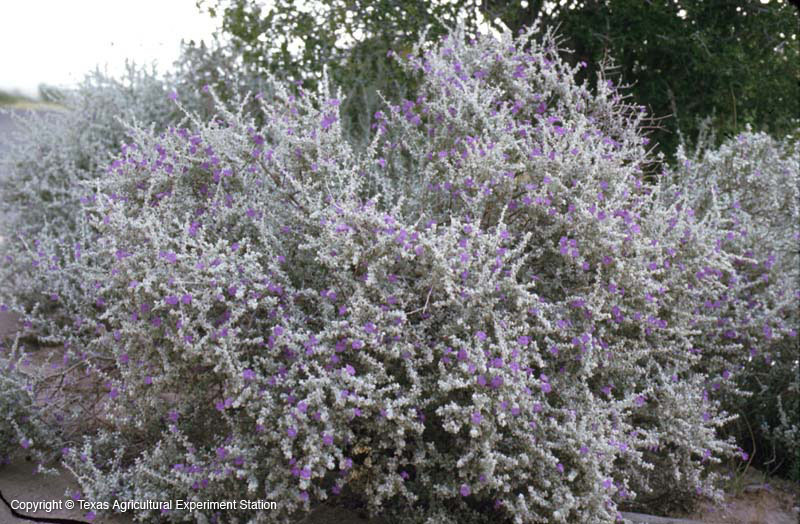 Violet silverleaf should not need pruning, but if desired, light pruning can be done once, in late winter or early spring before buds form. 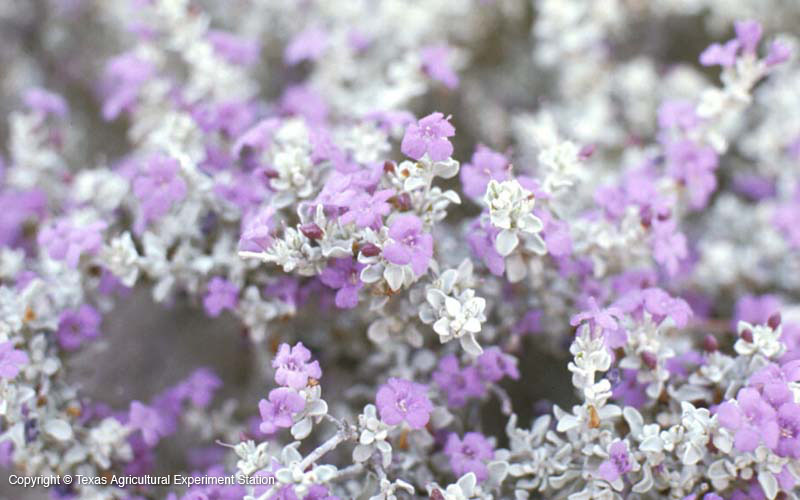 It is hardy to 5-10 degrees F. Benny Simpson introduced two selections of L. candidum: 'Silver Cloud', for its rich purple flowers and silvery leaves, and 'Thunder Cloud', smaller and more floriferous than 'Silver Cloud'.